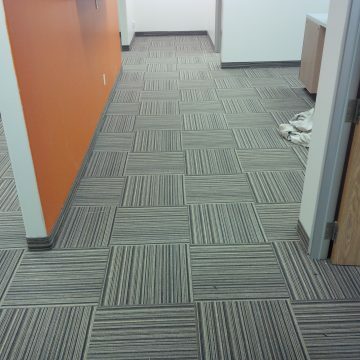 We recently installed the beautiful Kraus-Thames Commercial Carpet Tile Flooring in an office in Mississauga. 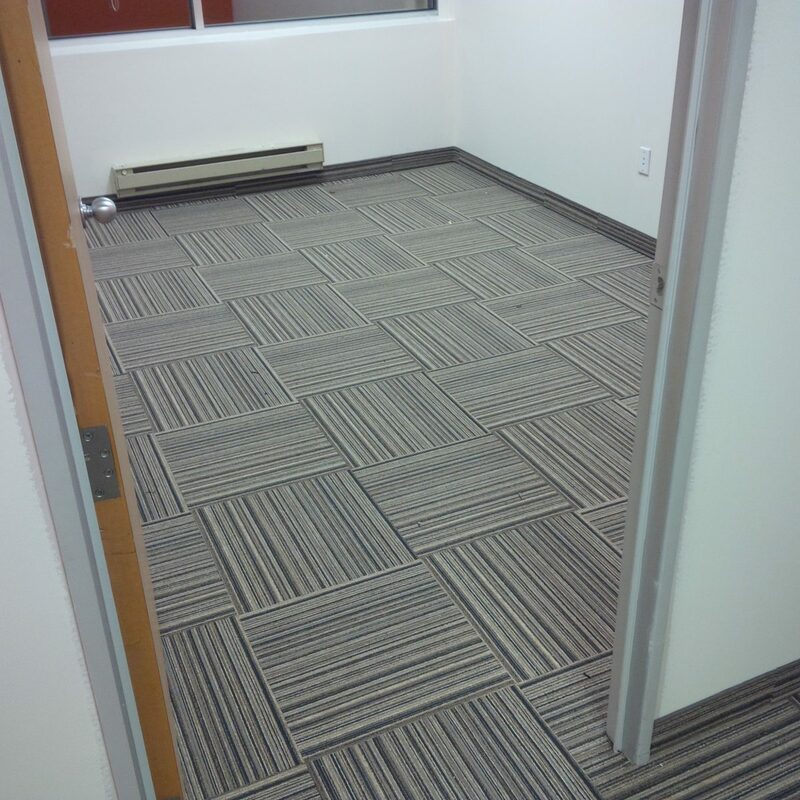 Our installers did a great job with every detail. The finished project turned out very well and our client was delighted with the job and now they are ready to move in. 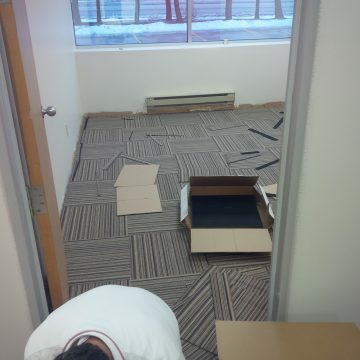 Four Offices, a Boardroom and halls all nicely finished off with a custom carpet baseboard. The owners were particularly happy with the convenience of a FREE on site estimate and the great price we could give them with our low overheads and shop at home service. Every small business needs to watch their expenses, but there is nothing like a clean fresh space to make everyone feel good about their work space.